JUST CLICK ON IMAGE FOR FULL FILM VERSION. In 1972, Velvet Underground alumni Lou Reed, John Cale and Nico reunited before the cameras of the POP2 TV program at Le Bataclan (yes that very place where those terrorists killed 89 people on November 15th 2015), a well-known and very intimate, Paris venue . 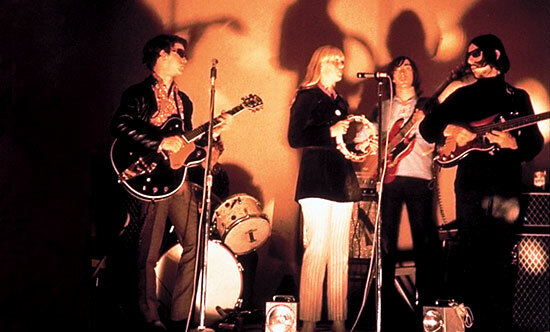 It was Cale’s gig originally and he invited Reed and Nico to join him. Reed, who hated rehearsing, spent two days with Cale working out what they were going to do. According to Victor Bockris’ Lou Reed biography Transformer, rock critic Richard Robinson videotaped these rehearsals, which took place in London. One thing worth pointing out here is that during “Berlin” you can see Nico’s face as Reed sings a song which he told her was about her. She might even be hearing it for the first time. NextOh! Sweet Nuthin’ I’m Sticking With You!